In a tragic incident, a Class 12 student riding a two-wheeler died in an accident at Thirumangalam in central Chennai in the first week of April. The case drew even more attention than usual, as Chennai Police, in a first, arrested the mother for letting the minor boy ride without a driving license. Chennai police seems to have followed suit of the Hyderabad police in this case, with reports of the latter having launched a massive crackdown against underage driving, are arresting the parents. Business Standard recently reported that police in the Telangana capital catch more than 30 minors behind the wheels every month. The fact that more than 130 minor riders were killed in accidents in Hyderabad last year and the police have collected Rs 7,23,900 in fine in 2016 alone, clearly shows the increasing trend of underage driving. On the other hand, India’s capital, Delhi ranks first in the increasing minor drivers with the average age of all violators in 2014 being 14 years. 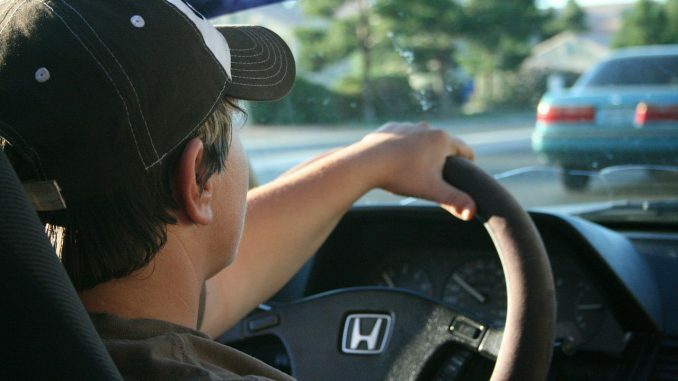 “Curbing underage driving is a difficult task. A few years ago, Delhi police impounded the vehicles driven by minors and slashed a fine of Rs 1000 on the owners. But, there was no change. Since awareness is important, we visit schools in the neighbourhood and sensitise the audience on the complications of underage driving,” said Manoj Kumar Sharma, Station house officer, Mayur Vihar Police Station, Delhi. Is it a big deal, really? According to data from the Ministry of Road Transport and Highways, 10,622 persons under the age of 18 lost their lives to road crashes in India, accounting for 29 deaths on average every day. Among the 10,622 persons dead, 3,417 deaths were of those children/adolescents who were driving the vehicle. “According to official data, 18,738 of total road crashes in 2016 in India were committed by persons below the age of 18. Out of these, over 5,000 crashes were fatal in nature. 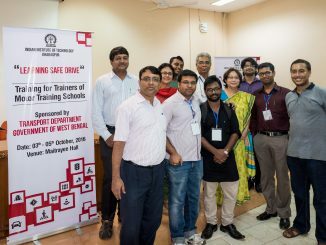 Holding guardians accountable for underage driving is essential to change the callous attitude they have towards the issue,” said Piyush Tewari, Founder & CEO SaveLIFE Foundation, a non governmental organisation working on improving road safety in India. Though penalisation of vehicle owners in an accident case is neither alien nor new to the Indian Penal Code (IPC), its implementation is trend setting, as it raises hopes of a decline in the involvement and fatalities of minors in road accidents. Section 5 read with Section 180 of the Motor Vehicles Act allows the police to penalise vehicle owners for allowing unauthorised persons to drive. “Vehicle owners shall be punishable with imprisonment for a term which may extend to three months, or with fine extending to one thousand rupees or with both,” says Section 180 of the Motor Vehicles Act. The existing act is not strict enough to take a tough stand against underage driving. Police officials say that vehicle owners get away with it, after paying a fine. “A thousand-rupee fine does not reform the offender, who more often than not belongs to the upper middle class of society. There is a growing trend of repeat offenders in Chennai,” said a senior police official from Chennai. The Motor Vehicles (Amendment) Bill, introduced in Lok Sabha in 2016 and passed in April 2017 has a provision for adult accountability for underage driving that has been initiated through Section 199A. However, the Bill remains pending in Rajya Sabha since the last winter session and needs to be passed in order to ensure nation wide implementation of this provision. According to psychiatrists, adolescent children, and boys more often, indulge in bike racing and rash driving to impress peers. “They feel a sense of freedom by violating the law. It is that feel that prompts an underage driver to not wear helmets and seat belts. Most of them don’t follow traffic rules, a self destructive factor which also poses danger to other road users,” says Sudha R, noted psychiatrist from Bangalore. 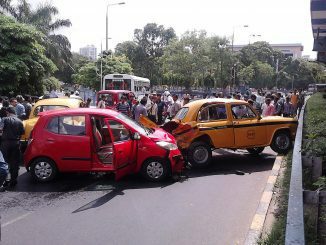 Teenage driving is also a risk because minors cannot make judgements and are bad at decision making, added Sudha. Learning from Delhi Police, Gurugram district administration is also conducting awareness sessions in schools, to sensitise students on the dangers of underage or teenage driving. But Delhi and Ranchi have a lot of stories to prove that education about safe practices at the school level only is not completely effective. Experts feel that parents, who are the vehicle owners, should be sensitised, and penalised in case of violations, for a better outcome. Want to make your city safer? Don’t be a passive bystander! What do you do when you see an accident victim on the street, unconscious and bleeding? Or when the young girl opposite you in the bus is being evidently harassed? Can you, as a bystander, intervene and help? What’s stopping Gurgaon from being another Copenhagen? 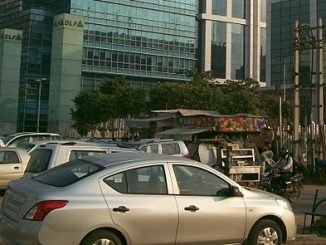 A recent survey among close to 3000 employees of an IT company in Gurugram highlighted the city’s traffic woes. But it also yielded interesting data points that indicate improved cycling infrastructure could change things here.